HOW CAN I CALL AN AMBULANCE IN THE BAHAMAS? Yes, but getting help is the challenge. The Bahamas are an archipelago of over 700 islands. Many of the islands have no emergency medical services and can only be reached by helicopter or boat. 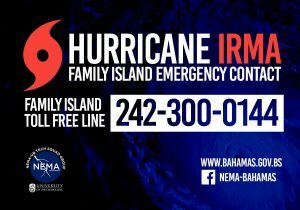 Outside of New Providence and Grand Bahama islands, it’s important to research ahead of time the best way to find help. 919 connects you to ambulance, police and fire. 911 will do the same, available because of the large number of North American tourists visiting. Depending on where you are, you may be transported by ambulance, boat or helicopter. AIR MEDICAL TRANSPORT – Can be arranged via a number of air medical evacuation and patriating companies in the Bahamas and Florida (USA). Please see our map or the “Other Emergency Numbers” section above. Yellow Fever – “There is no risk of yellow fever in The Bahamas. The government of The Bahamas requires proof of yellow fever vaccination only if you are arriving from a country with risk of yellow fever. This does not include the US.” See full list here. Today NEMS has 112 staff members. 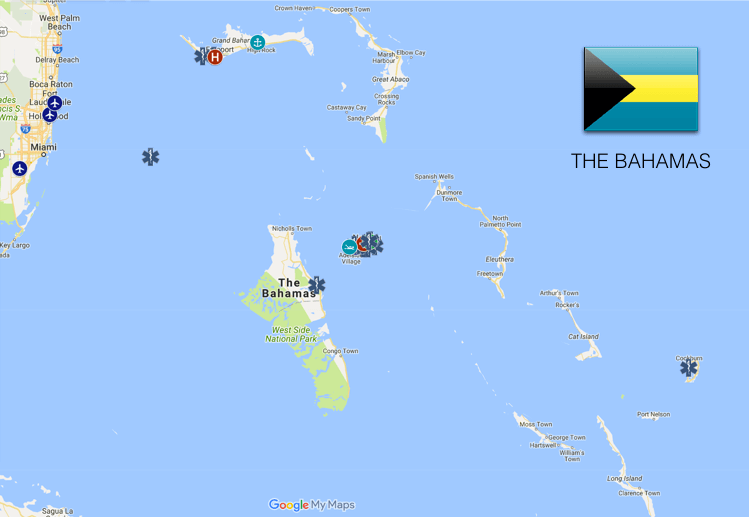 Ezenkwele UA et al: “Emergency medicine in the Bahamas.” Annals of Emergency Medicine. 2001;38(6):684-8. Nelson BD, Ahn R et al: “Emergency care and referral among isolated island populations in the Bahamas.” Journal of Emergency Medicine 2015;48(3):356-65.